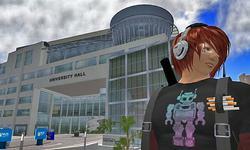 Visit the Second Life campus of the University of Western Australia, a place for teaching, research, art and architecture. 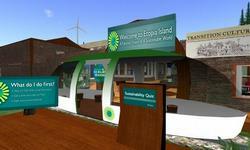 Learn more about how to participate in a socially and environmentally sustainable world at Etopia Island, a place to explore and learn. Take an interactive quiz, ride a gondola, hop on a train or even ride a bike through this futuristic vision of a sustainable world. HealthInfo Island offers information on health and wellness issues including diseases, surgical procedures, drug effects and interactions, support services, and new research. Visit the virtual campus designed, built, and operated entirely by students and faculty from the National University of Singapore to enable learning, teaching, sharing, and social interaction. 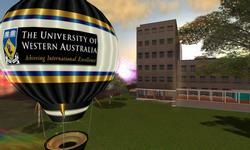 USQ Island is home to the Australian university which offers undergraduate and postgraduate level courses on-campus, off-campus, and via online study. 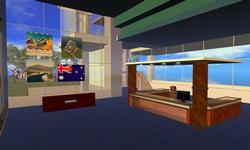 Beowulf & King Arthur's Court @ Camelot is the newest build of Literature Alive! 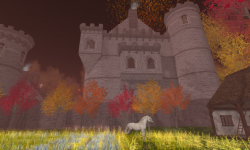 This free interactive build hosts Alfred, Lord Tennyson's Lady of Shallot and the Knights of the Round Table. Residents can take the "Knights Quiz" to determine if they are worthy of the role! Residents can also visit the Grand Hall and learn of the trials of Beowulf, the mighty hero, and win treasures for trivia! 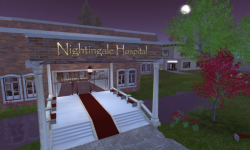 Nightingale Isle was created as a space to encourage, challenge and support nursing students in their journey to become nurses. NI fosters collaboration, research and education between nursing students, educators and healthcare professionals. 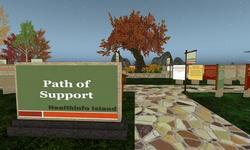 The good in "real life" blends together with the best of Second Life at The Lavender Field. Singers, musicians, dancers, DJs and artists on the grid perform here for Feed a Smile to raise funds to feed meals to needy children living in the slums of Nakuru, Kenya. 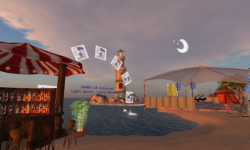 Come and enjoy the events that take place almost daily and stroll around the sim where you’ll be astounded by the realistic African landscapes and romantic niches in and around the fields of lavender.